Valerie O. Paton has extensive experience leading institutional initiatives related to strategic planning and success, academic and administrative assessment, academic program review, institutional research and accountability. She has served at two institutions, one public and one private, as the regional accreditation liaison and has been appointed to several accreditation or reaffirmation teams. Other academic leadership roles include supervision of an institutional ethics office, academic facility planning and scheduling, and community academic partnerships. 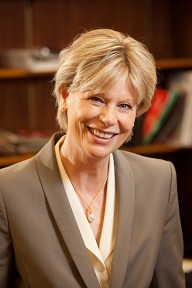 As an interim dean, Paton has led the transition of organizational structure to increase productivity and effectiveness in online degree and certificate offerings, off-campus site operations, interdisciplinary academic offerings, K-12 online offerings, and institutional outreach and engagement activities. She has served as PI or co-PI for numerous grants, including two Hispanic Serving Institutions STEM grants with Texas community colleges and community partners. In 2011, Paton was recognized as an “Integrated Scholar” at Texas Tech and received the “Texas Luminary” award from North Central Texas College. Paton represents Texas Tech as Secretary of APLU’s Council on Engagement and Outreach Executive Committee, and was conference co-chair for the 2013 Engaged Scholarship Conference (formerly NOSC) held at Texas Tech. Paton also represents Texas Tech as an executive committee member of Texas Women in Higher Education. During 2012-13, Paton was a Fellow with the American Council of Education and her host institution is Texas Tech University Health Sciences Center in El Paso. As a tenured associate professor in Tech’s College of Education, Paton’s research interests include higher education policy and law, engagement, online learning, planning and assessment. Her academic preparation includes a B.A. in American Studies from San Jose State University, a M.A. Counseling Psychology from Santa Clara University, and a Ph.D. in Education from the University of Southern California.